SimpliClear® is the world’s first completely clear braces system. Virtually invisible, SimpliClear® allows you to finally get that beautiful smile without the embarrassment of unsightly metal braces. You can’t have truly clear braces without clear wires. 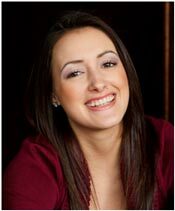 SimpliClear® works on the same principles as metal braces, the gold standard of orthodontic care. 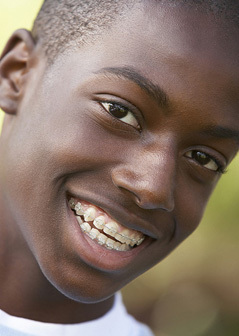 Braces comprise of two parts: a wire and brackets that are mounted on your teeth. Before SimpliClear®, only brackets were available in clear materials. Now, with state-of the-art polymer composite technology, you can now have a completely clear orthodontic experience. Like your smile, every SimpliClear® wire is unique. Each SimpliClear® wire is individually customized by your orthodontist to meet your treatment needs. The wires are designed to apply gentle forces to move your teeth and achieve desired results. SimpliClear® treats a wide range of cases, from mild cases, to complex ones, and is effective for patients of all ages. Clinically Effective – SimpliClear® works similar to metal braces, the most effective method of moving teeth. Customized for Your Needs – As everyone has a unique smile, each SimpliClear® wire is customized by your orthodontist, just for your teeth. Designed for Comfort – Made from an advanced, clinically tested material, SimpliClear® wires are designed to move your teeth gently. Plus, since SimpliClear® has no metal parts, there is less irritation to your lips and gums. Perfect for Patients with Metal Allergies – SimpliClear® is completely metal-free, making it an excellent choice for patients with nickel and other metal sensitivities. Affordable – The SimpliClear® treatment is reasonably priced as compared to other aesthetic alternatives. Your last excuse not to get braces just vanished. Contact our office to learn more about your new SimpliClear® smile!